Reese has a new contest with hockey season starting up soon! 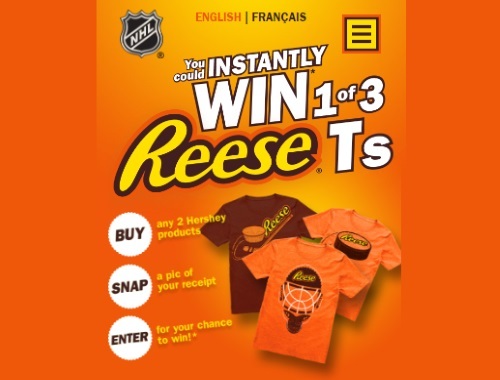 Enter to instantly win a Reese hockey t-shirt, available in three designs! There are 3000 prizes up for grabs! To enter you must upload a photo of a receipt from a purchse of 2 Hershey products or upload a photo showing any 2 Hershey products. Contest closes December 23, 2017.